GSC, rooted in the traditions of the Sisters, Servants of the Immaculate Heart of Mary, is a Christ-centered environment focused on nurturing our students’ commitment to God, Scholarship, Community, and Service. GSC provides an atmosphere of academic excellence based on the values of love and respect. Our dedicated faculty and families work together to identify and develop each student’s God-given talents and academic promise, preparing students for a faith-filled life of learning, leadership, and love for others. We strive to instill a lifetime appreciation for learning while building the future leaders of our Church and Society. GSC provides a safe environment and small class sizes. Our program begins with PreK 3 year olds and continues through Grade 8. In addition to our classrooms, we have an Honors Math room, Technology center, an Art room, Music room, a multi-purpose room (cafeteria, auditorium, hall, and theater), and a Library. Our library also houses our STEM lab, robotics, and maker space. Our students have access to the following technology: interactive whiteboards, computers (desk top and lap tops), I pads, chrome books. GSC is a Google School. Students in Grades 5 – 8 each are provided with a chrome book to use the Google Apps for Education. (GAFE) Students in K – 4 use I pads. GSC provides an after school program “CARES” (Children Are Receiving Extended Services). This program begins at the end of the school day until 6pm. Other after school programs include: Art Class, Dance Classes, and our Drama Club. Students also participate in parish and CYO activities. 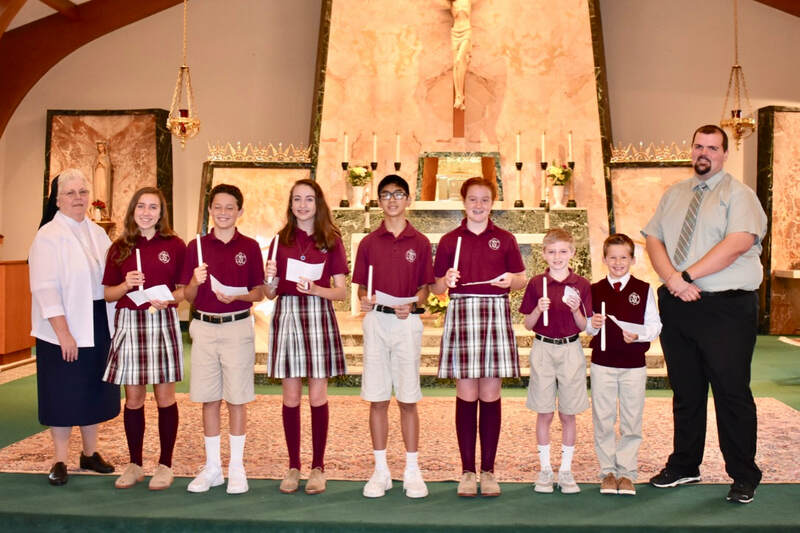 Our students demonstrate their commitment to Community and Service through various Student Council, Parish, and Scouting activities. I hope you enjoy visiting our website and Facebook page to see the many activities provided for our students.